The co-operative movement in the Czech Republic celebrated its 160th anniversary in 2007. The first housing co-operatives, in what is today the Czech Republic, were founded in the 1880s when the country was a part of the Austro-Hungarian Empire. All types of co-operatives were then ruled by the same legal regulations as in other parts of the Empire. The late 19th and the beginning of the 20th century was a period of growth in the sphere of co-operative enterprise in general. The passage of laws granting tax advantages inspired the foundation of numerous building and housing co-operatives. Their purpose was to ensure low-cost housing for workers and employees. In 1912, 355 housing co-operatives already existed. After the creation of independent Czechoslovakia in October 1918 a new era began for all types of enterprises, including co-operatives. 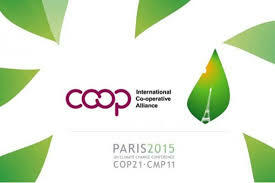 Gradually, co-operatives started to flourish. The following period saw the adoption of eight laws governing the loan provision and setting tax rates that favoured small-scale construction operations, and, consequently, building and housing co-operatives. These laws did much to encourage the emergence of these co-operatives. Although housing co-operatives did not account for a major proportion of the total numbers of houses and flats actually built, they played a significant role in political and social spheres. Generally speaking, between World War I and II the co-operative housing movement in Czechoslovakia was considered one of the most advanced in Europe. After a coup d’état in February 1948 when the Communist Regime seized power, existing housing co-operatives (called “People’s Housing Co-operatives”), were seen by the new regime as a vestige of capitalism and were either completely liquidated or lost much of their independence. From then on, they became state owned, run by the state and the communist party bodies. Housing administration was carried out in the context of a centrally planned state. The primary role of the housing policy was to build new multiple-storey buildings financed by the state. As a result, a large number of dwellings were built both in the state sector as well as in the co-operative sector. However, the buildings from prefabricated elements were of poor quality and generated a lot of dissatisfaction. The system was not sustainable in the long run which became increasingly obvious towards the end of 1980s. 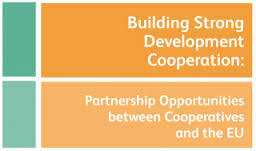 Faced with permanent and growing housing demand and limited state financial resources, housing co-operative development was encouraged because a substantial part of the construction costs could be covered by the members of the co-operatives. Typically, housing construction was financed by three instruments: membership shares, state subsidies and low-interest loans, each of approximately the same amounts. But the very nature of housing co-operatives was changed with important deviations contrary to the original principles and self-help tradition. They were “institutionalized” as part of the centrally planned economy and their rights were greatly restricted. Moreover, after 1959, housing co-operatives were merged into very large administrative entities without their consent and regulation standardised their constitution and function. At the beginning of the 1990s, with the collapse of the Communist regime (as in neighbouring countries) a major economic transformation was implemented, shifting from a centrally planned to a market economy. 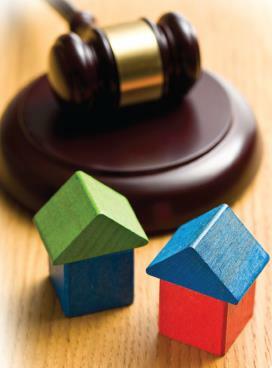 In the housing sector, two methods were implemented: restitution and privatisation. The restitution phase involved the return of around 7% of the housing stock to the original owners or descendants of original owners whose housing had been expropriated by the Communist regime. Privatisation of state-owned blocks of flats was implemented in two phases. First, the state transferred all state-owned properties to the municipalities. Second, privatisation of a large portion of municipal-owned properties was done through the sale of entire buildings to newly established housing co-operatives or through the sale of dwellings to individual tenants who then established associations of owners of housing units. Many thousands of housing co-ops were founded during this process (roughly 10,000 housing co-operatives and 43,000 associations of owners of housing units). 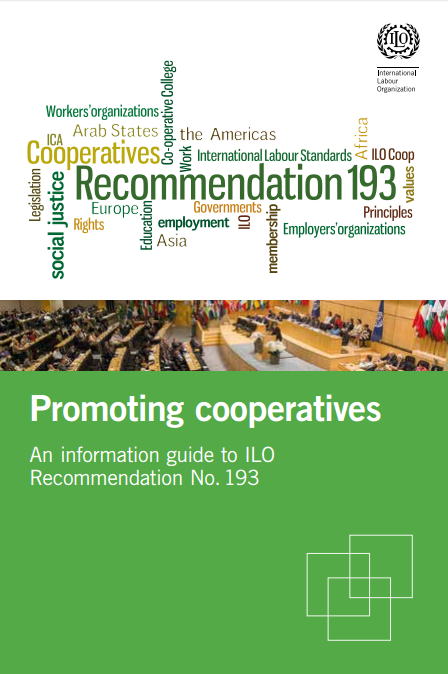 Moreover, nearly 300 “old” co-operatives (which existed during 1980s) survived the changes. Most of them remained members of the Union of Czech and Moravian Housing Co-operatives (SCMBD). The adoption of the Transformation Act in 1992 imposed an obligation on housing co-operatives to transfer co-operative shares to their members if members submitted formal requests and granted members the right to sell their shares in the open market, or to become owners of their housing units. This had the effect of transforming some housing co-operatives into associations of owners of housing units. The tenure composition has changed significantly since the 1990s.In 1991, 41% of the housing stock was owner-occupied, 27% owned by the state or municipality, 21% owned by housing cooperatives and 11% private rental. In 2011, the share of owner-occupied stock grew to 64% (family houses and flats in housing blocks) along with 18% rental, 13% housing co-operatives and 5% other. However, home ownership remains low compared to other eastern European countries. The blocks of flats transferred from the state to the municipalities and housing co-operatives were often in poor condition. The multi-storey prefabricated blocks were not well built and maintained. No financial help accompanied the transfer of ownership from the state. Moreover, the new owners did not have the funds to maintain adequately their units, whether housing co-operatives or associations of owners. The deterioration of the housing stock continued. During this period, the combination of a substantial decline in housing construction and deregulation resulted in an increase in prices. This problem was compounded by the lack of resources and adoption of mechanisms to finance new construction by the new market economy. Even with the gradual recovery of the mid 1990s, half the number of dwellings (30,000) was built in the year 2000 compared to the year 1990. However, most of these new dwellings were constructed by private developers and owned by private owners with sufficient means to buy. 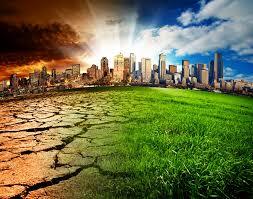 To face the withdrawal of the state subsidies, new financial mechanisms were needed. The housing savings scheme, based on the Austrian/German model, was established early in the 1990s. The scheme gradually began to play a very important role during the transition phase as mortgages were not yet available. Moreover, after their implementation the majority of the population were unable to afford their repayment terms. 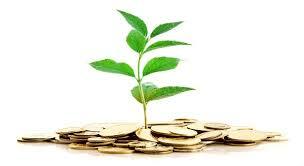 Fortunately, since the beginning of 2000 banks are offering more affordable financing. 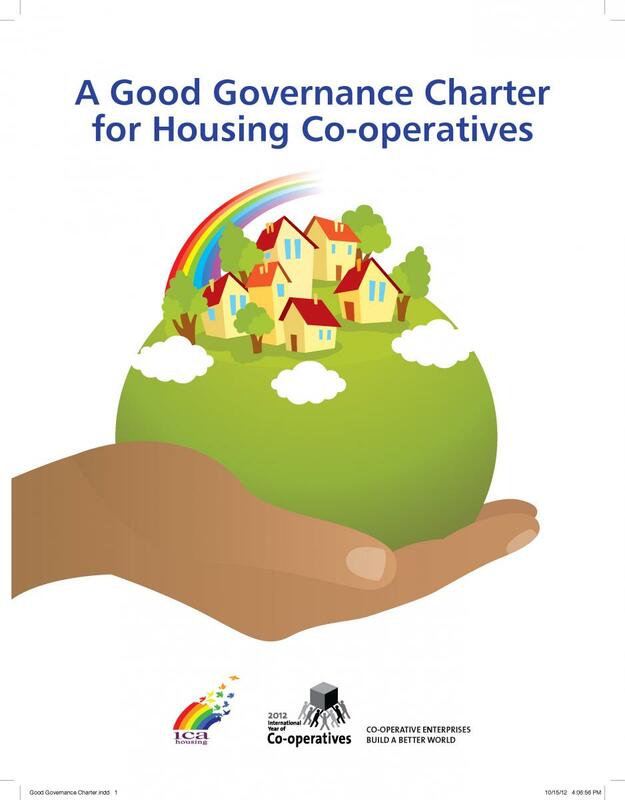 Today, housing co-operatives are completely independent from the state. 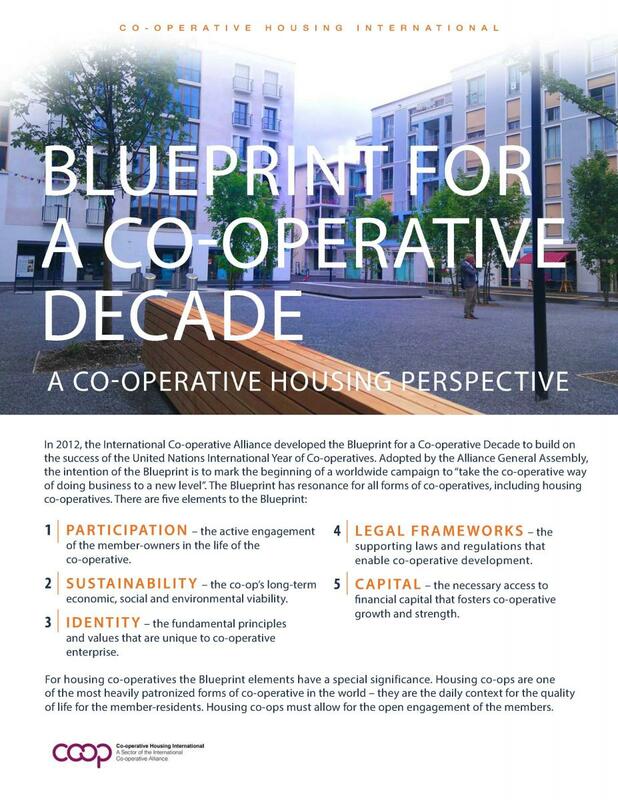 Even though their overall share in the housing market has decreased, as a consequence of transfers of co-operatives´ flats into private ownership, they have been able to establish themselves as key players in the housing market since the beginning of privatisation. Housing co-operatives in the Czech Republic are not seen as just “entrepreneurs” with an economic role but are also expected to solve various social problems as well. Unlike some other European countries, the Czech Republic demand for housing does not pose a problem for supply although this picture may differ in those parts of the country with high employment levels. However, the country is facing a shortage of affordable housing for people who cannot afford to buy or to pay the market rent. Strict rent regulations, implemented during the previous communist regime, and still in force, contribute to the problem. These regulations, in addition to keeping the rents at a much lower level than market rents, give the possibility to “regulated tenants” of disposing of their units by transferring them to family members or exchanging and trading them. This situation has allowed high income people to remain in, and to transfer, “regulated” units leaving low-income families unable to access these regulated units and having to pay higher market rents. A further contributor to the situation is an unwillingness to make long-term financial commitment (mortgages) and to dedicate a share of income on rents. After long debates, the Parliament adopted the law No. 107/2006 Coll. On deregulation of rents for the purpose of settling relations between owners and tenants. 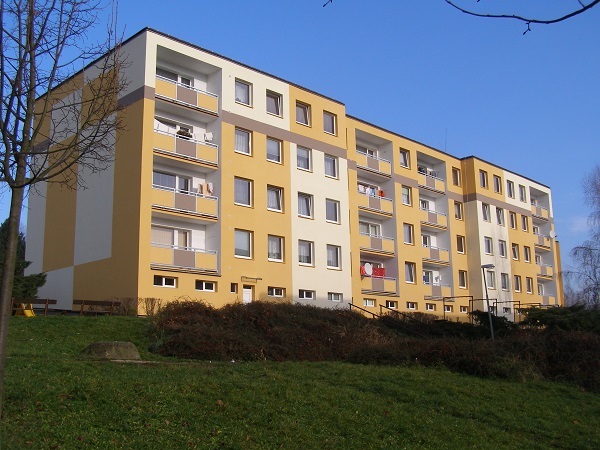 Another major housing issue faced by the Czech Republic is renovation of the prefabricated blocks of flats called panelaks. 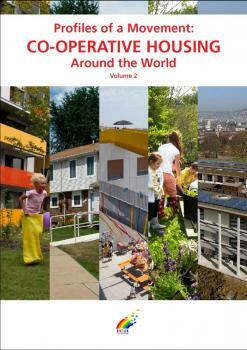 During 1954 – 1994, nearly 1,2 million flats were built under prefab technologies across the country. Serious technological faults were inherent in this type of construction at the time creating low-quality housing and a need for reconstruction after several decades. Subject to water leakages, poor insulation, and a weakening metal structure, modernisation of these blocks requires substantial resources. 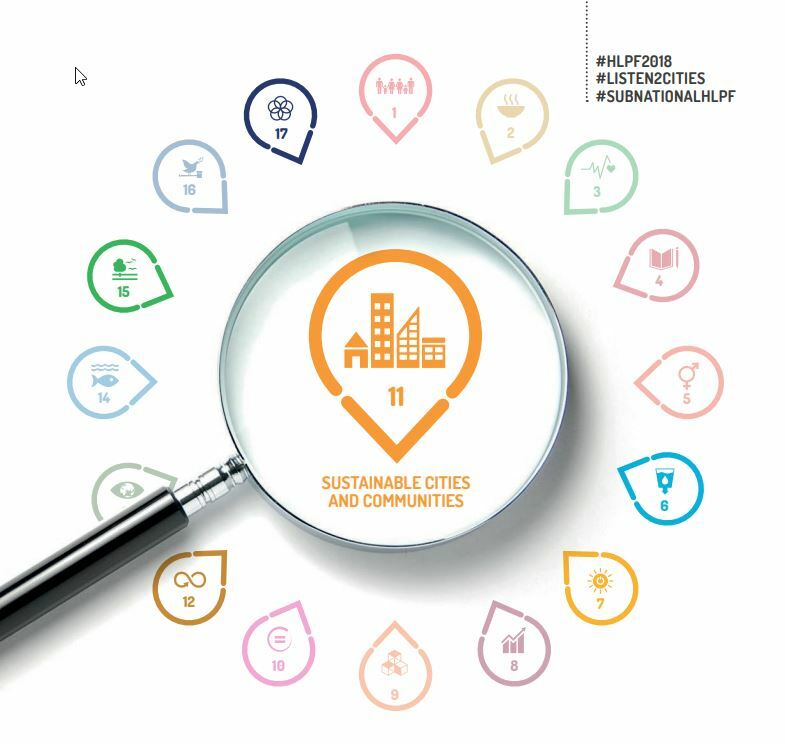 So far, approximately 25–30% of blocks have been reconstructed and modernized with the objective of increasing the energy efficiency of buildings and improving the standard of housing in line with the technical parameters, comfort and style of the 21st century. Today, in spite of attempts to draft many times, the Czech Republic has no recognisable ‘official’ overarching housing policy but appears to have recognisable housing priorities. These priorities include: optimal use and good maintenance of the existing stock; targeted actions in favour of disadvantaged groups, and; financing mechanisms to assist middle and low-income families. 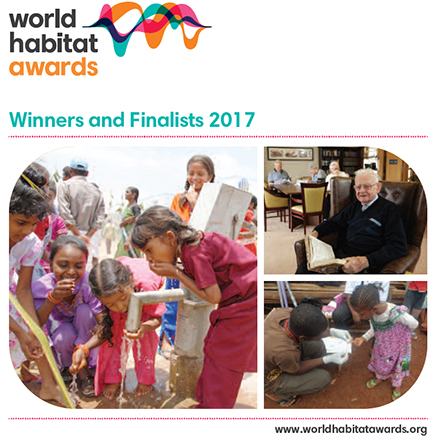 Programmes are available for housing co-operatives and non-profit groups. Unfortunately a convenient program called “Panel” is being gradually phased out due to the lack of finance in the Government´s fund for housing. Since 1994, the construction of new housing co-operatives is at a minimum level, representing only dozens of housing units per year. Rental: members are tenants. They do not own their unit. Units remain the housing co-operative’s property. Mostly prefabricated buildings (high-rise and multiple-storey). Professionally or volunteer managed according to the size: 9,700 housing co-operatives were founded through the privatization process with 150,000 units and managed by volunteers. The remaining 300 housing co-operatives with 280,000 units are managed by professionals. Besides their own flats these larger co-operatives administer approximately 350,000 units of associations of private owners. 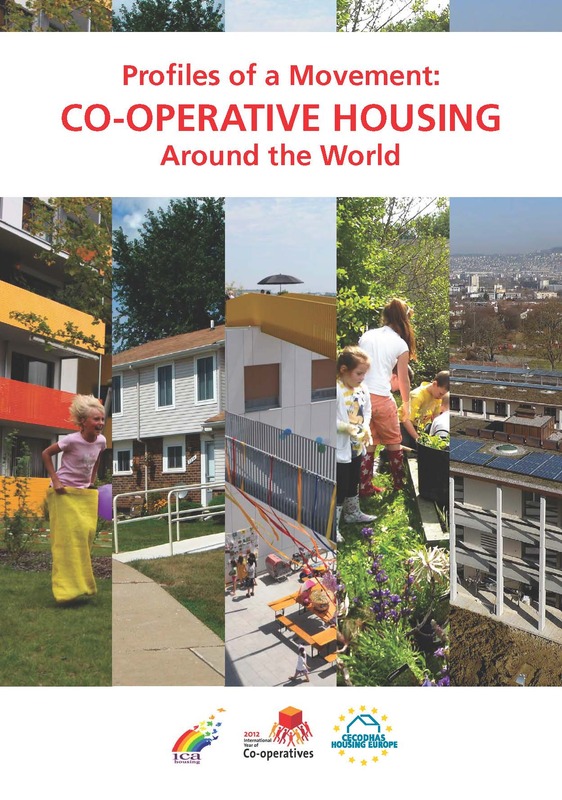 Size of housing co-operatives varies: for example 69% of housing co-operatives manage 250 units (4%) whereas 2% of housing co-operatives manage more than 10,000 units (28%). 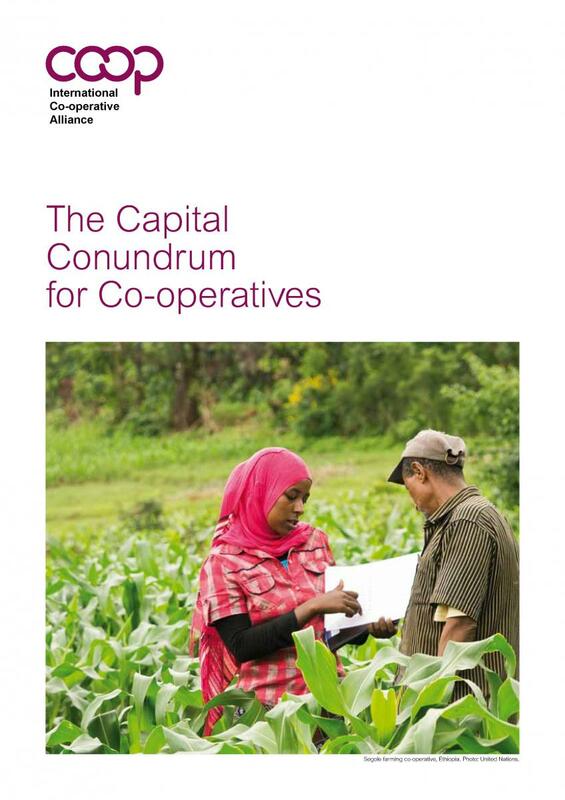 Members pay a share for the administration/management of the co-operative. The monthly rent paid by the member is established according to the floor space occupied. Housing co-op rents cover the mortgage cost, the insurance premium, an allocation for the maintenance of the building and a housing society administration fee. The administration fee in 2011 is equivalent to 6–8 Euros per unit per month. A state subsidised housing savings scheme based on the Austrian / German model. Tax relief for interests on mortgage loans. Direct financial support for housing construction. Programs for repairs and modernization of prefabricated housing stock. The construction savings scheme has been available since 1993 and is based on the German and Austrian model. The goals are to encourage people to save money while facilitating the accumulation of funds to provide low-interest loans. Half of the state’s housing expenditure is directed to support the housing savings system. Low-interest savings with a government non-refundable financial contribution of 15% of the annual saving amount (maximum premium). Government contribution available after 6 years’ saving. The total sum saved may be used for non-housing purposes. Individuals can continue to save after the 6th year. 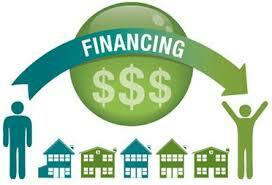 Low-interest loan for housing available when 50% of loan amount has been saved. Loans are for housing purposes exclusively. Income tax exemption of interest on savings deposits including the state premium. Deduction of paid interest on loans from income tax. In the period 2001–2011 a significant instrument directed at modernizing and reconstructing housing units was introduced, the ‘PANEL’ programme. It provided financial help to access commercial financing through an interest subsidy, administered by the State Fund for Development of Housing (SFRB). The program also provides a state guarantee from the Czech Guarantee and Development Bank. 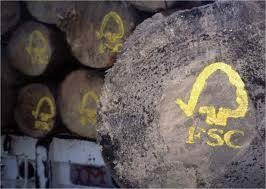 For financial reasons this programme was terminated in 2011. Throughout the years and the different regimes, housing co-operative’s regulations in the Czech Republic have always been included in a special legislative act. Commercial Code – general co-operative regulations were included in the commercial code in 1991. Transformation Act – gives housing co-operative members the right to sell their co-op’s share on the open market and the right to become the owner of their units. Law No.378/2005 Coll. (of 19/8/2005) and Government´s Regulation 465/2005 Coll. (of 9/11/2005 – regulations for the construction of co-operative flats. Law No. 107/2006 Coll. on one-sided increase of rents. Maintenance, repairs, reconstruction and renovation of multiunit residential buildings. 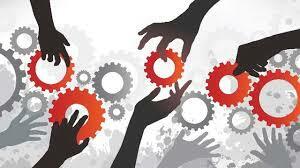 Economic, legal and technical services. Construction of new units (a long term target). SCMBD’s membership currently includes 681 housing co-ops across the country representing 694,000 administered units and 18% of the total housing stock. This number includes as well the units from SCMBD former members that have been privatized and established associations of housing units’ owners. SCMBD membership is open to any housing co-operatives whatever their size as well as associations of smaller housing co-operatives. Membership in a sectoral organisation is not mandatory in the Czech Republic. SCMBD is composed of eight regional councils which represent coops in their regions. According to their size (number of members), each council elects a corresponding number of delegates for the general assembly who meet every year. The total number of delegates is determined by the Board; the number is usually about 90 persons from all regions. The board of directors is composed of 17 members including the President and two Vice presidents. SCMBD member housing co-operatives own and manage some 633,000 units in prefabricated housing blocks which represent more than half (51%) of the total prefabricated housing stock in the country. SCMBD members are managed by volunteers as well as by professionals. The co-op housing sector employs more than 4,000 persons.